Serhat, a Turkish singer known for his achievements in the international music industry, will be competing at Eurovision on behalf of San Marino. 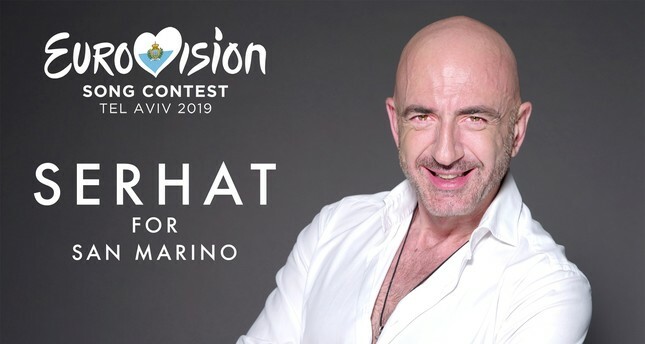 Serhat will be representing San Marino at the 64th Eurovision Song Contest to be held in Tel Aviv in May. He was the first Turk who represented another country other than Turkey at Eurovision and San Marino had the highest score in Eurovision that year. This news was officially announced at a press conference held on Jan. 20, in San Marino and both locals of San Marino and the world press showed great interest in Serhat. The General Manager of San Marino's national channel, RTV's Carlo Romeo spoke on behalf of San Marino at the press conference. He noted that as Serhat, whose single "I Don't Know" is on the U.S. Billboard dance charts, reaching the 25th place, represented San Marino successfully before at the Eurovision Song Contest, and they again offered Serhat to represent San Marino again, where they will be participating for the 10th time this year. He added that they were very pleased that he accepted this offer and that they believed they will reach great success together. Serhat noted that he was very honored as a Turk to compete for both San Marino and Turkey at the Eurovision Song Contest.